Nathan (Nat) Lewis came to Sydney in 1887 from London, England. He lived at 12A L’Avenue, Newtown; he later moved to The Towers, Byron Street, Coogee. His wife Amelia died in 1928. They had five children. He died on 20 August 1945. Known as the Lace King of Newtown, Nat Lewis had premises at 185-189 King Street and the corner of Liverpool and Castlereagh streets. He was a successful salesman and renowned for the ‘Parisian Millinery’ and lace he imported. He opened one of the first cash and carry stores in the Strand Arcade, called Bright Lights, in 1925. The business was initially very successful but competition form other cash and carry stores, and the 1930s depression, saw it close in about 1931. Lewis was one of the first directors of Clay’s Bridge Theatre Company Ltd in 1912. Nat Lewis was a justice of the peace (JP). He was an active member of the Newtown Hebrew Congregation. He was known as a sportsman and supported local athletes through donations of prizes. He was a keen racegoer, and in the 1920s owned a racehorse named Lady Brightlights. Nat Lewis was an alderman on Newtown Council in 1907-17, representing O’Connell Ward. He had been elected after the death of Henry Howe on 26 July 1907. Lewis was an advocate for the electric street lighting of the municipality, and especially the L’Avenue area in North Newtown where he lived. He was also responsible for securing land on Wilson Street to establish a park and playground there. 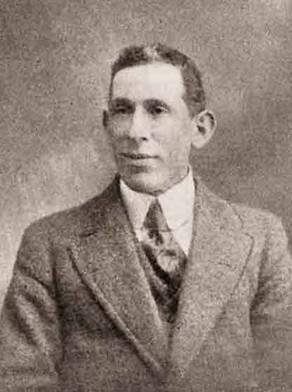 In 1919 he ran for Belmore Ward in the City of Sydney as a representative of the Civic Reform party for the vacant seat caused by the death of John English, but was defeated by Bramston.